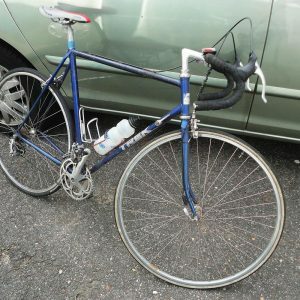 I just wanted to send a note of thanks for all the work you did in restoring my Trek 970 frame. It is truly beautiful. I’ve attached a picture so you can see it in it’s final form. You did an exceptional job on matching color and decal placement. 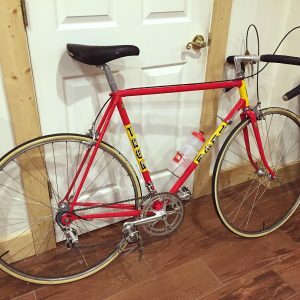 I will recommend you to anyone I know who is interested in getting a bike painted and when I can save up enough money I plan to send you my Razesa steel frame so you can do the same to it. Thank you John for the pictures and email.